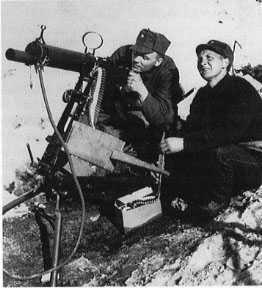 The Norwegian army was based around six divisional or military districts, each one was supposed to be held by a division but in reality they were more like brigades with around four infantry battalions plus an artillery regiment. All troops were conscripted and usually had less than three months training. The government made the decision to partly mobilise so on the day of the German invasion the army had only 19.000 men at arms. 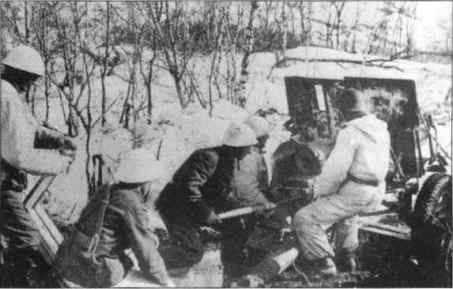 The Norwegian campaign lasted around two months and most Norwegian units were out classed and overrun, mainly due to the fact that the army had no anti-tank weapons or even grenades. The exception being the 6th division, which was mobilised and ready to fight. At the battle at Narvik they held the advance of the German Gebirgsjägers and later fought alongside the allied expeditionary force. But it was too little too late and once the Germans got established then defeat was just a matter of time.